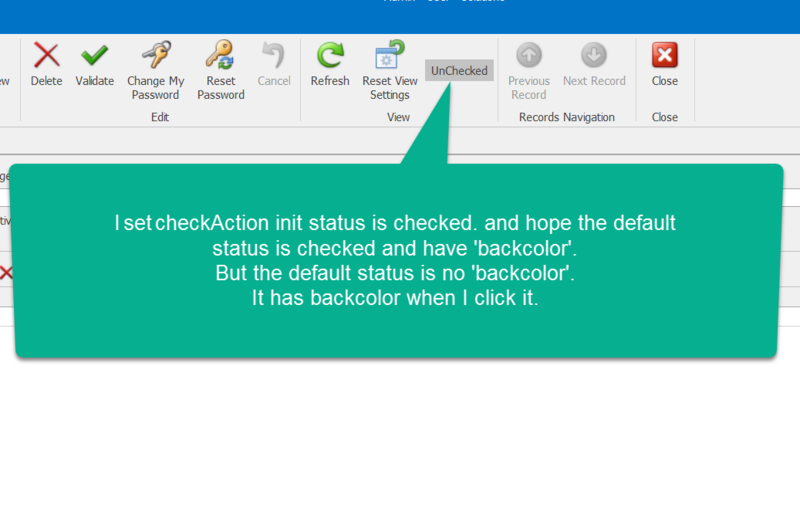 I set checkAction is checked on viewController_OnActived, and hope the checkAction status is checked and have 'backcolor' when I run it.see picture01.png. 2. Set checkAction is checked in controller constructor.